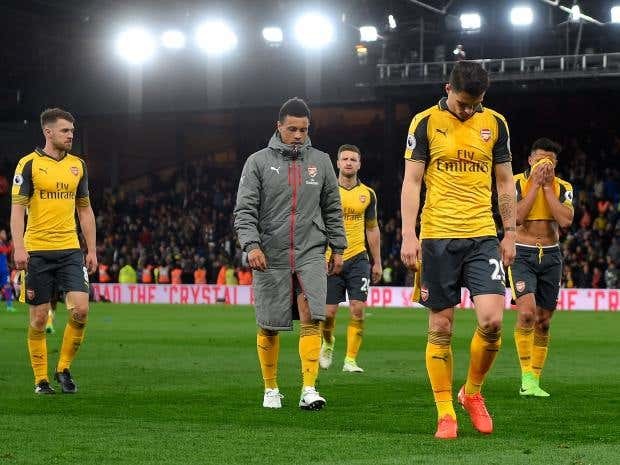 Jamie Carragher reacted sternly to Arsenal’s 3-0 massive loss in their second leg encounter with Crystal Palace last season. The former Liverpool player poured his words undiluted as he expressed how he felt after the match. The Sky Sports pundit was triggered by the unexpected loss which made him to accuse the players that they were “bleeping up” when their manager needed them the most. He specifically blamed MezuitOzil and Alexis Sanchez for not performing up to par and for “disgracing” the team. Carragher also alleged that Arsenal was too focused on top-four finish instead of focusing on the title itself. “That was the fourth away match in a roll of which they conceded at least three goals in each. “People will always talk about the coach and I do not think the fans are split, I suppose more of them demand change. But now, it can be easily concluded that the players want change more than the fans do,” Carragher said. Sheffield United boss Chris Wilder has agreed to get back on the pitch to form part of a Blades Legends team to help raise money for the Once Upon a Smile charity. Some money will also be used for the Sheffield United academy as well. They were opposed to a team of TV stars and other celebrities comprising of actors Danny Miller and Antony Quinlan as well as actors such as Mirallegro, Ben Davies, Callahan and Boa among others. Dean Smith from the BBC and Jake Quickenden was also part of the team that represented Once Upon a Smile charity. The Blades legends teams comprise of players such as Chris Morgan, Agana, Michael Tonge, Michael Brown and as previously mentioned Chris Wilder. The Blades team managed to win the game 5-3 with goals from Brown and Tonge. 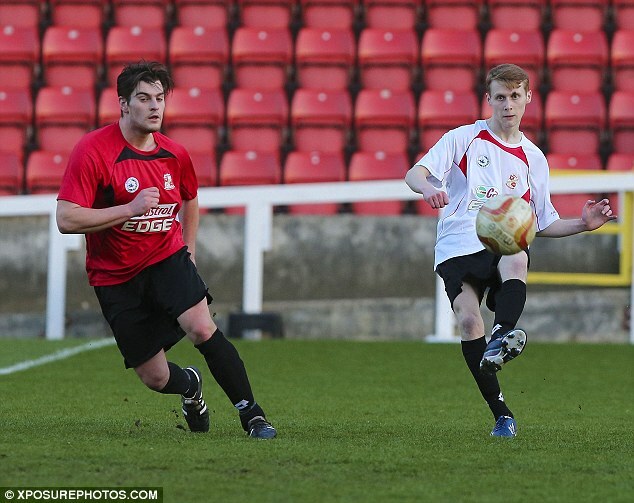 On the other side, it was Danny Miller who was among the scorers for the celebrities. A charity football match themed after a town, which so far, has raised no less than £10,000 is returning. This time around, the legendary former Blues will go head on against each other. Football fans have been given the chance by the Ipswich Town Legends to grace the same pitch with legends such as Titus Bramble, Russell Oman, Kieron Dyer and Matt Holland in recent years. Funds raised from this has been used to support the ITFC Academy and West Suffolk Hospital’s Forget-Me-Not Dementia Campaign, one run by My WiSH Charity. The public has paid to play against the legends, or for a few lucky ones, to share the same dressing room with their heroes. This year’s edition, will be held on the 23rd of April, at the Bury Town’s Ram Meadow. Half a dozen legends are expected to grace each team in order to ensure a competitive and charitable encounter. Many were at Radcliffe Borough FC over the weekend to grab a seat as soap stars and ex-pros played in a charity football game. Emmerdale’s Danny Miller and Chris Bisson were amongst the television stars that displayed their football skills. 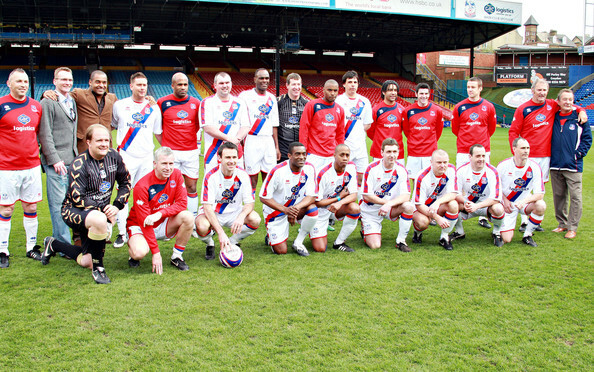 They lined up alongside former England defender Michael Gray and former Blackburn forward Matt Jansen. Altogether, they formed an all stars team that played an emergency services team at Taurus Park. It was also a family time out to raise funds for the club’s charitable interests. “It went really well. We were really pleased to see a few TV Stars and ex-pros were able to take the time out to come down and play. I have to thank them for that because it was really good turnout from their side. “We had between 200 and 300 people come down and watch, which was a really good crowd for this time of the year, and everyone seemed to enjoy themselves. I think once the money is counted up we will have between £600 and £700, and that will go towards the charitable arm of the club,” the club’s former chair, Bernard Manning Jr. said. There is a glam game coming up at the Emirates stadium. It would be a legends match that is being organized by Arsenal Football Club. The game is slotted to be held in the first week of September. The net proceeds of the game would be going towards Arsenal Foundation. The match will see legends of Arsenal playing, some former players who would come together and face glorious players of Milan in an exhibition game that would last for 90 minutes. It is sure to be a wonderful game to watch for Arsenal fans which would feature former players of both sides. 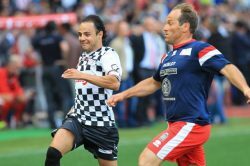 Many of the legendary players have confirmed their participation in the game like Robert Pires, Dennis Bergkamp, Paolo Maldini, Thierry Henry, Franco Baresi, Freddie Ljungberg and others. Many former players like Robert Pires have stated that, getting the chance to play in front of Arsenal fans and alongside old team players is a feeling that is worth reliving. Ghana coach Avram Grant is confident that the national team will make it to the World Cup 2018 despite being given a tough qualification group. Ghana were once regarded as the strongest team in African football apart from Cameroon. However, the decline of stars like Michael Essien has contributed to the decline of the team in general. Over the years, there have been several managerial changes in the national team and former Chelsea and West Ham manager Grant is the latest one to take charge. Ghana will be up against the winner of the first round of qualification that will take place in October 2015. The matches for the World Cup qualification will begin in November 2015 for Ghana. After the recent disappointments in major tournaments, the important task forGrant will be to get the team playing in the finals of the World Cup. Ghana failed to even reach the knockout stages of the tournament. Lesotho or Comoros will be the likely opponents for the Black Stars in the second round of qualification. After a string of poor performances in the friendly matches, Ghana returned to form with a 7-1 win over Mauritius in the recent Africa Cup of Nations qualification match. According to the president of FIFA, SeppBlatter believes that Vladimir Putin and Russia in it’s entirety should be praised for the work that they have been doing in relation to the 2018 World Cup. Blatter and Putin were seen together during a sports convention in a Russian resort of Sochi. Both influential figures expressed details concerning the approaching international competition. There is a budget of £7.9bn which is lower than how it was projected to be last year and this is due to the economic troubles that Russia is experiencing as they had to cut and slash down the administrative costs of the competition for around 10%. The economic struggles of Russia is mainly due to the price of oil having sustained a significant drop in the last few years and this brings a negative string of consequences for Russia as oil is their main export product and are now forced to export it at a cheaper price.